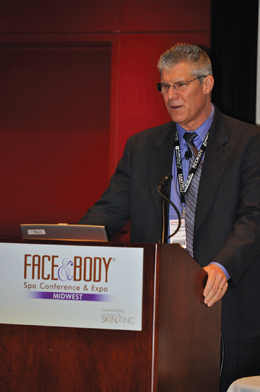 Attendees got down to business at Face & Body Midwest 2011 Spa Conference and Expo. The three-day conference and expo kicked off on Saturday, March 12, 2011, at McCormick Place West in Chicago, and setting the pace for the weekend was the product-neutral Advanced Education Conference Program. It was a banner year for the conference because Allured Business Media recently became an approved sponsor of continuing education (CE) by the Illinois Division of Professional Regulation, enabling licensed Illinois attendees to earn valuable CE credits in esthetics and esthetics education at the conference. 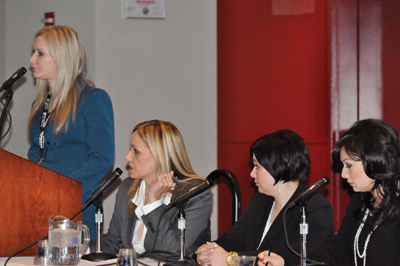 Industry experts discussed the topics that affect today’s skin care professionals, including sessions such as “Roll Your Own Groupon,” “Melanoma and the Younger Generation,” “Professional Social Media 101” and “Journey Into Well-being” during the conference’s Business-building, Esthetic Science, Trends and Wellness tracks. Many of Allured Books’ authors were on hand Saturday to sign copies of their latest works for the education-driven crowd, including Morag Currin with her book Oncology Esthetics; Zoe Draelos, MD, with the newly released Physiology of the Skin, Third Edition, co-authored with Peter T. Pugliese, MD; Lydia Sarfati and her book Success at Your Fingertips; and Carl Thornfeldt, MD, FAAD, with his book The New Ideal in Skin Health: Separating Face From Fiction, co-authored with Krista Bourne. On Sunday, attendees hit the expo hall early, eager to see what was new in the industry, and also took advantage of the face-to-face sales and networking, happy to have the opportunity to meet with industry experts. They also had the unique experience of being able to walk the floor of the cosmetology-focused America’s Beauty Show®, which was again co-located with Face & Body Midwest. Companies also presented their specific products and techniques, and conducted hands-on demonstrations and lectures in a variety of separate Supplier Classes. Attendees were able to learn from the experts themselves and gain valuable one-on-one time with their favorite suppliers in an informative and interactive setting. The Medical Esthetics Summit was a new addition this year, produced by Skin Inc. magazine and sponsored by True University Esthetics. The summit was designed to help build and strengthen business for estheticians and practitioners working in a medical setting, and also for those looking to expand into this specialized area. 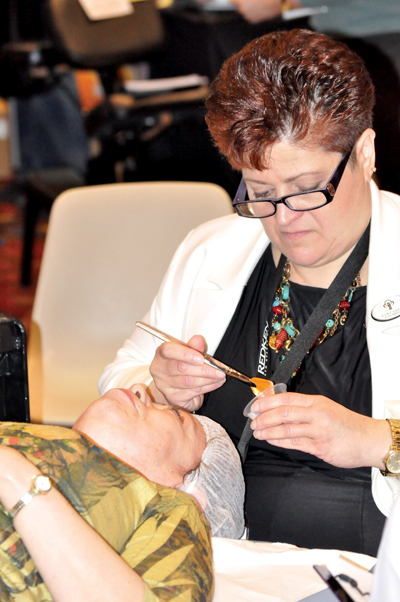 Networking was abundant, and attendees learned from practicing experts about blending esthetics with medicine, while they earned valuable CE credits in esthetics and esthetics education. Attendees who took part in the advanced education opportunities were able to then check out the expo hall for suppliers that offered products and services to meet their growing needs. Some of the summit attendees were driven to the expo floor during the afternoon to find suppliers who could work with the liability needs they had identified through the expert speakers at the show. As Susanne Warfield, president/CEO of Paramedical Consultants, Inc. and a speaker at the summit, walked the show floor after her presentation, she was impressed to hear that the attendees took immediate action. “It was mentioned to me by several exhibitors that attendees from my class were already using the equipment evaluation tools that I had just given to them during my presentation, and were seeking out organizations to help them with possible liability issues,” says Warfield. Face & Body Midwest will return to McCormick Place West in Chicago March 3–5, 2012, again co-located with America’s Beauty Show. With its focus on combining business solutions, treatment techniques and skin science, it is definitely a show you won’t want to miss.